The original Mopar recipe to HEMI power your next meal. 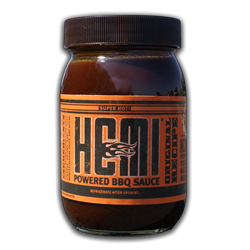 Next time you grill out let others know what kind of power a HEMI packs. 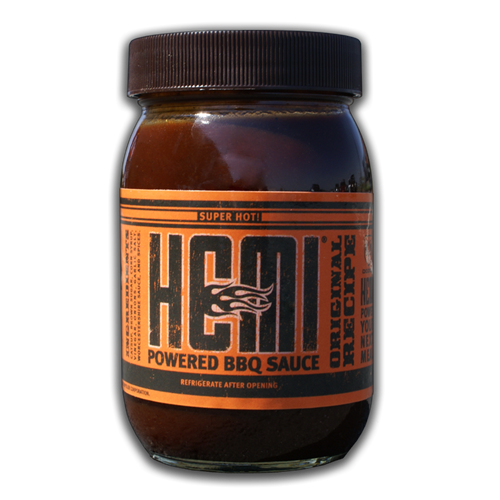 This sauce has just the right amount of heat and comes in an 18oz collectable glass jar that makes a statement even when the barbecue sauce is gone. Get your grill on! Catsup, Brown Sugar, Corn Syrup, Vinegar, Onions, Garlic Salt, Worcestershire sauce, and Spices.